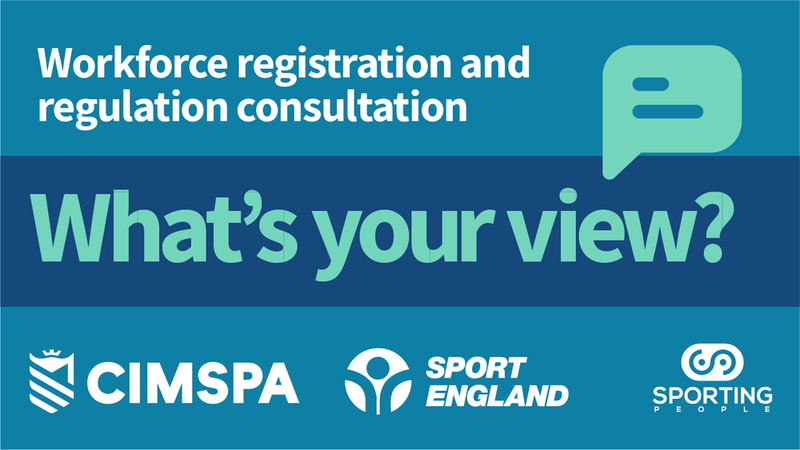 We’re inviting sport and physical activity professionals to take part in an important consultation on ensuring our profession is trusted and valued by our customers and communities. The consultation has been commissioned by CIMSPA, funded by Sport England and is being delivered by independent consultants. For this part of the project we’re looking for the views of frontline sport and physical activity professionals – that’s you! What you think are the challenges facing sector professionals. Who you think should be responsible for checking we are qualified and competent to work with the public. What you think about the idea of a national register of those in the sector who are trusted sport and physical activity professionals. This is your chance to influence how our sector continues to grow as a recognised and respected profession – valued and trusted by the customers and communities we work with. Thank you for your help – the survey is completely anonymous, takes about 5 minutes to complete and will be open until Friday 26 April. Please also share with your colleagues if you can.